Researchers devise new deadline trick: decide which deadlines are actually important Survey finds that it literally pays better (in so many ways) to be an early bird If your coworker does this when they speak, they may be a psychopath Working out is great, but doing it this way might make you live longer 3 key things to ace the interview according to an expert This iconic (and tiny) fashion trend will be all over your office this summer If your coworker does this when they speak, they may be a psychopath Emotional intelligence: what is it and how can you improve yours? Are you using any of these 100,000 worst passwords for cybersecurity? What’s the best way to guarantee a productive work environment? Work with people who do this Researchers devise new deadline trick: decide which deadlines are actually important Emotional intelligence: what is it and how can you improve yours? This iconic (and tiny) fashion trend will be all over your office this summer If your coworker does this when they speak, they may be a psychopath That bad restaurant review you read on Yelp may have been influenced by this odd thing Emotional intelligence: what is it and how can you improve yours? 7 signs that you’re actually a problem employee 3 key things to ace the interview according to an expert Why you need to ask these 7 questions to test soft skills during a job interview The college degree of the top-earning CEO in every state This iconic (and tiny) fashion trend will be all over your office this summer That bad restaurant review you read on Yelp may have been influenced by this odd thing If your coworker does this when they speak, they may be a psychopath Emotional intelligence: what is it and how can you improve yours? 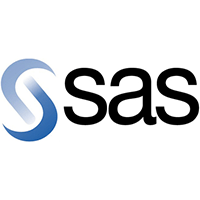 We are seeking a Sales Manager responsible for contributing to the achievement of SAS’s strategic corporate and business unit objectives through the implementation of sales and marketing strategy within a defined region or industry. Responsible for achievement of total software revenue target and management business objectives (MBOs). Plans and implements growth strategies with each of her/his direct reports regarding new software sales, renewal of software agreements, consulting services, and education services. Leadership in generating new business through strategic, customer focused selling, managing relationships with key customer executives. Ensures that the Account Executives in her/his charge maintain sufficient pipeline to support achievement of sales objectives. Ensures that the pipeline is appropriately qualified and moving through the sales process with a reasonable probability of closing in SAS’ favor. Is instrumental in sales strategy development, negotiation, and closing of customer agreements. Assigns appropriate sales goals and initiatives to sales staff; determines optimal utilization of staff and resources to achieve sales goals. Responsible for hiring, evaluating, and coaching the sales staff. Recommends appropriate training to continuously develop and improve selling skills amongst the team. Responsible for timely and accurate revenue forecasting of software, consulting services, and education services. Ensures team alignment and adoption of SAS sales approach (BASE) and utilization of Orion, Account Plans and Opportunity Plan development. Collaborates with fellow management colleagues and senior executives to identify new and creative approaches to the marketplace to increase SAS’ sales penetration. In-depth understanding of strategic sales techniques and principles specifically as it relates to the sale advanced analytics. Demonstrated knowledge of the application of advanced analytics within at least three industries and/or market segments with preferred experience selling into the media and communications sectors. In depth knowledge of corporate software or hardware acquisition cycles. Sound understanding of the competitive landscape in advanced analytics and the broader software marketplace. Location: Western United States (San Diego, San Francisco, Portland, Seattle). Bachelor's degree preferably in Business, Marketing, Computer Science, or quantitative field. Requires eight years of experience in software sales, including two years in a leadership role, coordinating and/or supervising technical projects within the technology industry. Demonstrated experience in successfully achieving a sales target. Equivalent combination of education, training, and relevant experience may be considered in place of the requirements above.